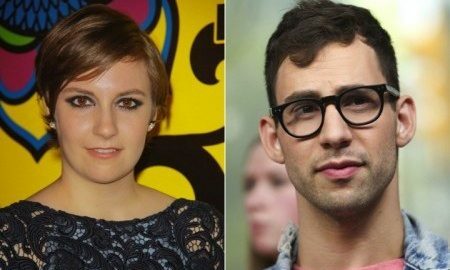 Jack Antonoff is seeing someone else after his recent split from Lena Dunham, according to UsMagazine.com. The former celebrity couple broke up in December after five years together. According to a source, Antonoff is now dating a musician, and Dunham has no hard feelings and wishes her ex well. This celebrity break-up apparently isn’t hitting Jack Antonoff very hard, as he’s already moved on. What are some ways to cope with your ex moving on after a break-up? 1. Keep busy: Work on you. Don’t feel like you have to move on to someone new just because your ex did. Focus on yourself. After all, that is the best thing to do. Keep yourself busy by doing what you have to do, and add some new activities to your schedule. 2. Stay off their social media pages: Don’t ask around either. It’s time to move on, and checking up on your ex’s new relationship is not going to help. It can be tempting to become your own “private investigator,” but what would you really gain from it? 3. Look forward: Be positive about your future. There is someone else out there for you, and if you’re sticking to a self-improving plan, then you’ll definitely have a bright future to look forward to. Don’t stay in the past by building a home there, you have better things to do with your time. Be excited about your new beginning! What are some ways you coped with your ex moving on quickly? Comment below!